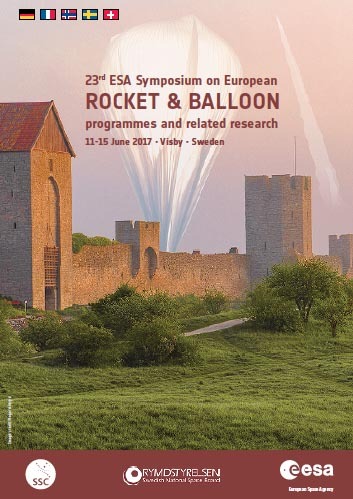 The 23rd ESA Symposium on European Rocket and Balloon Programmes and Related Research is organised and sponsored by European Space Agency (ESA) and the Swedish Space Corporation in coordination with the Swedish National Space Board. The symposium programme will be defined by the Programme Committee, which is composed of the experts from all five member states of the Esrange Andøya Special Project (EASP) for the launching of sounding rockets and balloons, and the European Space Agency. Symposium participants are given the opportunity to report on their latest achievements and plans for the future, within the various scientific and technical fields. These symposia have become widely recognised occasions for efficient communication between scientists, engineers, Space agency representatives, project managers, range personnel as well as students, and thereby have become the starting point for intensified collaboration. Invited keynote speakers will address topics of general interest and present the state of scientific and technical knowledge in fields of specific interest. Oral and poster contributions are solicited. There will be opportunities for splinter meetings and working group discussions. 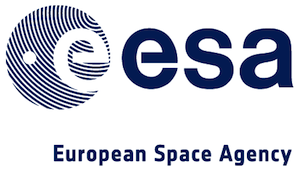 The Proceedings of the Symposium will be published by ESA and distributed in digital format and will be made available online to all participants approximately three months after the Symposium. During the symposium there will be an exhibition area available to display and exhibit specific products, such as, service systems for balloons and sounding rockets, experiment hardware, new technologies, diagnostic tools/measurement systems, application software, etc. Facilities for holding small meetings and working group discussions outside the main symposium programme will be available. Please contact the ESA/PAC secretariat in advance to make the necessary reservations. 27 March Hotel reservation deadline and “early-bird” registration deadline. 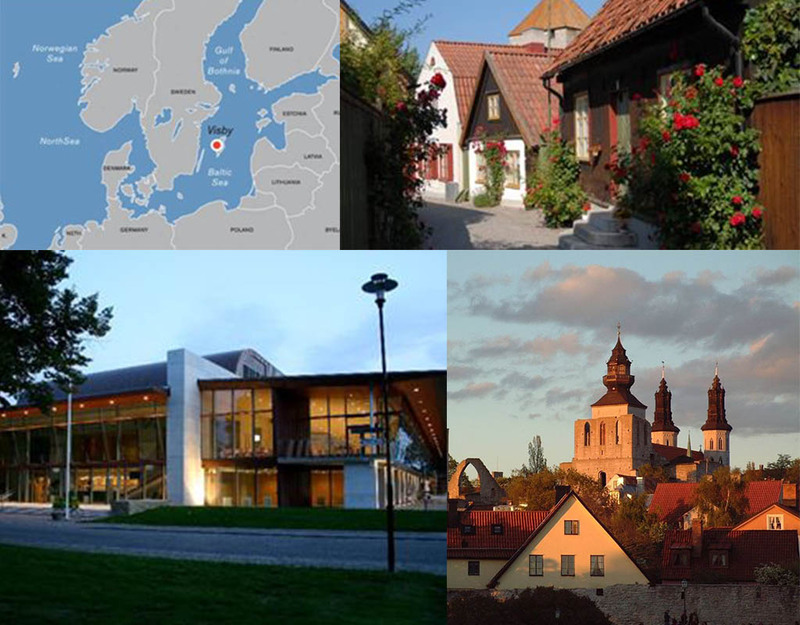 The Symposium will be held at the Wisby Strand Congress & Event, located in Visby, Gotland, Sweden. In the middle age the town was the centre of the Hanseatic League – a mighty trade network of 30 independent cities. Today, Visby is a living world heritage with people living and working in beautiful old buildings. Visby is an extremely well-preserved medieval city with a network of narrow, cobbled streets. The many ruins of churches and abbeys give Visby, the “City of Roses and Ruins”, its unique charm. It has also a rich tradition of arts, crafts and is the most restaurant-intensive city in Sweden. The Gotland Island lies 90 km east from the Swedish mainland. It is easily reachable by plane from Stockholm Arlanda airport or Stockholm Bromma Airport. Visby Airport is located about 3,5 km north of Visby and is the only commercial airport on the Island with almost every hour a flight from/to Stockholm. More info at a later stage. Rooms have been blocked at two hotels in Visby from 11 to 16 June 2017 with favourable rates. All bookings should be made as early as possible, not later than 27 March 2017 in order to benefit of the negotiated rates. Reserve your hotel room while registering. A welcome aperitif will be offered during the registration until 20:00, on Sunday 11 June, at the Wisby Strand and Event center after registration. Registration will start as from 16:00. There will be a “Ranges Night” on Monday 12 June after the end of the sessions where participants will have the possibility to share life experiences with the organisers (Esrange, Andoya Space Center, DLR MORABA and CNES). This event will take place in the Pavillion on the back side of the Clarion Wisby hotel. A free of charges guided city tour will be offered on Tuesday 13 June after the sessions, starting at 18:00. The Gala dinner will be served on Thursday 15 June at the Wisby Strand Convention & Event. Recommended dress code: jacket & tie. Optional excursions will be organized on Wednesday 14 June, in the afternoon, against a supplementary payment of 200 SEK. All these excursions will be followed by a two-course dinner included in the fee. Participants will make their selection, subject to availability, by registering through this website. All excursions will be on a first come – first served basis. Option #1 (at 17:00) – Västerhejde and surroundings (visit of medieval church Tofta, Fisherman’s village Gnisvärd, demonstration of “Gutish multisport”, scenic view from Högklint, Dinner will be served at Leva). Option #2 (at 14:00) – The tour goes to the east side of the island to the parish of Ardre. (Visit of medieval church, farm with more than 300 lambs, Cousin Dan’s brewery, and demonstration of “Gutish multisport. Dinner will be served at Hamnkrogen Herrvik). Option #3 (at 14:00) – Southern Gotland/ Storsudret and surroundings, the lushest and greenest part of Gotland, with a varied landscape of both coniferous and deciduous trees, agricultural land and lovely beaches. (seaside walk in Fröjel, demonstration of “Gutish multisport” and the famous sea stack Hoburgsgubben. Dinner at Gra Gasen). Option #4 (at 14:00) – Excursion to Farö, the “magical island” (land of Ingemar Bergman, medieval church, Langhammars sea stacks, Fisherman’s village “Helgumannen”. Dinner at “Stora Gasemora”). NOTE – You must extract all files from the zip file before usage. Please check this website regularly, as further information about the Symposium will be published as soon as it becomes available! © 2016 European Space Agency. All rights reserved.